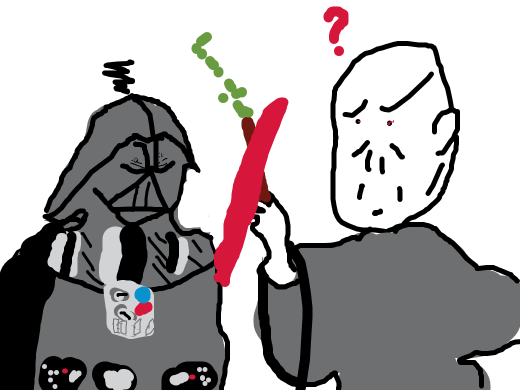 Darth Vader and a wizard with a wand are fighting. They are surrounded in various green letters. umbrella cries. 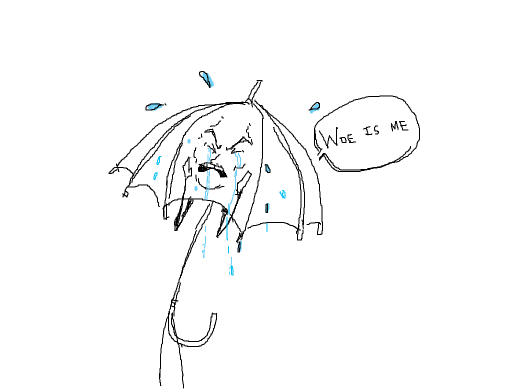 "Woe is me!"